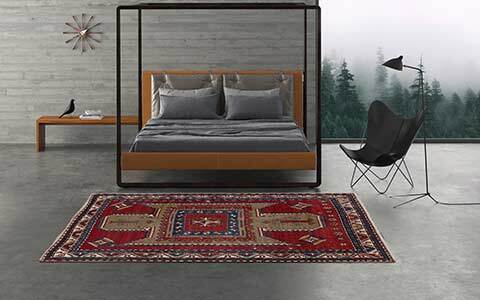 Our rug of the month March 2015 is part of the Tibey Collection, which stands for exclusive rugs with a high percentage of silk and the special loop & cut knotting technique. The collection offers classic as well as abstract designs, which are broken up by this special knotting technique. 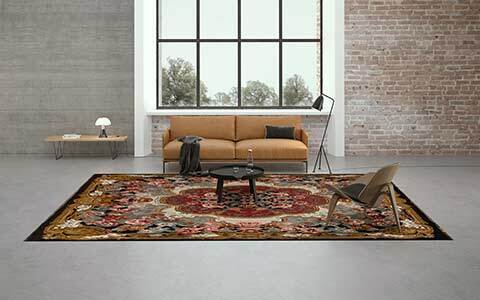 The loop & cut structure creates an individual vintage look and a changing appearance of the Tibey carpets, which varies depending on the angle of view. The reverse design of the Tibey Triangle (C2678-X533) creates subtle contrasts. 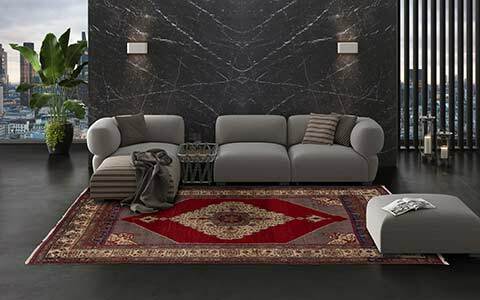 The design of this nice rug lays in the background, slightly irregular covered by the light silk line. Thereby, the rug creates a colourful but subtle, understated look at the same time. The loop & cut knotting technique is responsible for the special charisma and the exciting pile surface. The Tibey Triangle (C2678-X533) is knotted alternately in woolen and silk lines: Only the silk lines are cutted, while the woolen lines stay closed (loop). 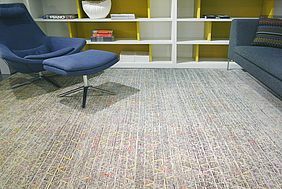 This technique puts the actual design of the rug as closed woolen line in the background, overlaid by the beige coloured silk line. 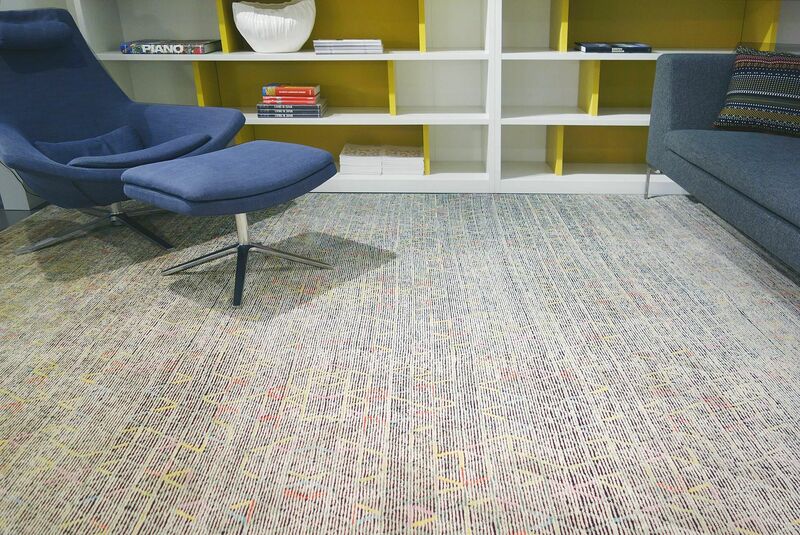 The irregular overlay of the multi-colored triangles creates the discreet look of the carpet. Thereby, the Tibey Triangle (C2678-X533) can be integrated into a variety of decorating styles – from pure and straight to the popular country style. 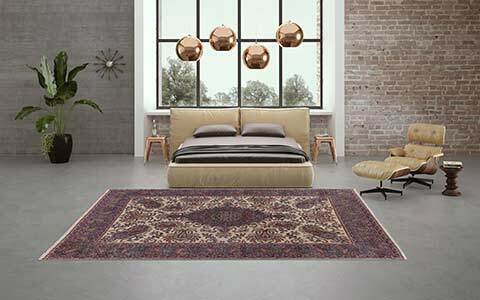 The rugs of the Tibey Collection are produced in a Nepalese manufactory by experienced weavers in high quality with about 160,000 knots per square meter. 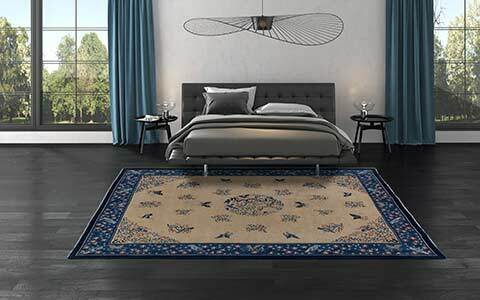 The combination of finest silk and the high-quality wool sourced from the Himalayan highlands is important to achieve the elegant look and feel of the rugs. Nevertheless, the Tibey rugs are very strong, durable and easy-care. 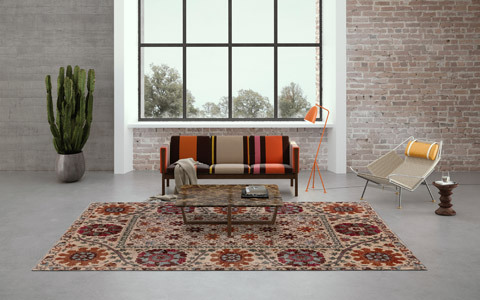 Like all products of Mischioff, the Tibey Collection comply with all requirements of the fair trade Label STEP, the independent, international organisation for fair trade carpets. The standard size of the Tibey Triangle (C2678-X533) is 300 x 230 centimeters, and as well orderable in individual custom size. Delivery time for available stock pieces is 5 – 7 working days, production time of individual custom orders is about four months. Interested in a rug of Mischioff’s Tibey Collection? 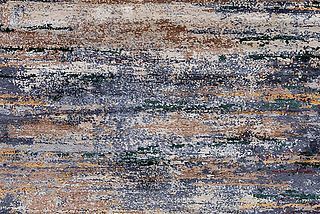 Then sign up for the Mischioff online catalog - after the activation you get a comprehensive insight into the world of all Mischioff carpet collections. For further information or a customized order please feel free to contact us - we look forward to hearing from you!